What is the Fastest Way to make Yearbooks In-House? 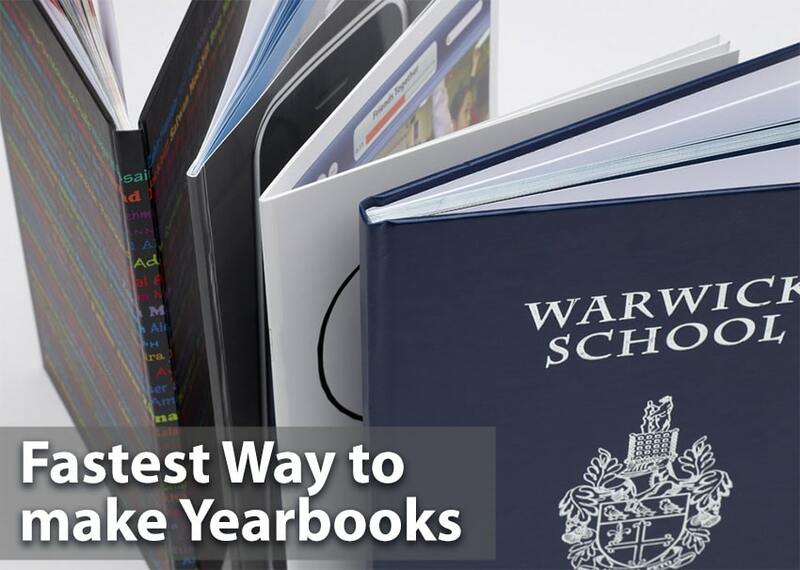 By far, the fastest way to make yearbooks in-house, from the comfort of your classroom or office, is with Coverbind thermal binding machines and hard covers. The machines are simple, fast, and offer the high production you need to make yearbooks for all of your students and staff. The hard covers are pre-made for quick turnaround, and come in 3 different stocked styles, including a solid hard cover, a hard cover with a window cutout, and a solid hardcover with a printable label that seamless attaches to the front for a custom look. There are three different levels of Coverbind thermal binding machines, so they can fit easily with your school's budget. Scroll through these three videos to see them in action, and compare the important specs down below them, including pricing. The Coverbind Accel Flex is the perfect tabletop thermal binding machine for schools with daily binding needs, including yearbooks as well as other documents of all kinds. It features a large binding plate that will handle Coverbind thermal binding covers up to the largest 2" size available, as well as over-sized documents up to 14 ⅞" high; this means you can bind legal size documents in addition to standard letter size and mini documents. It can bind up to 15 books at one time*, and has a quick 60 second binding cycle, which gives your output speeds of up to 900 documents per hour. It is a powerful, compact, and attractive binding machine that fits perfectly into any office environment. If your office needs to bind higher volumes of books in bulk from time to time, or needs to make a single document for a client presentation, the Coverbind Accel Flex thermal binding machine can get the job done with low production and labor costs. Whether you need to bind hard covers for premium client presentations, or soft covers for manuals, reports, and more, the huge variety of Coverbind covers is sure to full your needs. With the Bindomatic Accel Cube from Coverbind, your corporate office or print shop can produce top-quality finished documents in both hard and soft covers, without any hassle, and faster than any other traditional binding method on the market. In fact, it will produce these premium bound books at speeds up to one per second*, which is 45 times faster than punch and bind methods, and 30 times faster than tape binding machines. With the Accel Cube thermal binding machine, all you have to do is place your document in the size selector, place the pages into the displayed cover size of your choice, and place your covers into the machine. The Accel Cube will automatically run the binding process and notify the user when books are complete. It will run Coverbind thermal binding cover spine sizes from 1/16" to 5/8", and is rivaled only by it's big brother, the Accel Ultra. It features upgrades from previous models that include increased quality, faster binding, a stronger bind, and a sleek machine design. With the Accel Cube you can improve your production speed, while eliminating the hassle of punch-and-bind, all while producing the highest quality bound documents. The new and improved Coverbind Accel Ultra thermal binding machine can help you produce documents of all kinds with just 3 simple steps: ① insert a book block into the size selector, ② place your pages into a cover in the displayed size, and ③ place documents into the machine and press start. The Drop&Go technology will automatically begin the binding process so you can walk away from the machine and perform other tasks. With the Bindomatic Accel Ultra from Coverbind, your business can produce premium-quality bound books in as little as 1 second per book* - that's about 45 times faster than any other traditional binding method on the market. A huge variety of Coverbind thermal binding covers are available, allowing for use with soft covers and hard covers of many varieties. Choose from two different Accel Ultra Models: The standard model to bind spine widths including 1/16", 1/8", 1/4", 3/8", 1/2", and 5/8", or the plus model to bind spine widths including 3/4", 1", 1 ¼", and 1 ½". Included with your machine is the specially designed stand for optimum working height. These automatic thermal binding machines are revolutionizing the thermal binding industry with their sleek design, simple operation, and their ability to decrease costs while producing the highest quality bound documents. They are perfect for large print rooms, businesses, and anyone with higher-volume daily binding needs that still needs the ability to produce short-runs at a low cost. Do you SEE that speed? How many other binding methods can make books this fast...the answer is none. That is why Coverbind is truly the fastest way to bind hard cover books, including your school yearbooks, in-house. In addition to the speed and how easy they are to use, they also make a very strong finished bind. Ten years ago people used to complain about thermal binding as a whole because the pages would have a tendency to fall out over time. Coverbind thermal binding, however, is innovative and has solved the problem by embedding a unique mesh strip into the glue (which is pre-applied to the book cover spine; yay for no messy glue application!) that holds onto your pages like never before. The only time customers have ever commented on pages coming out is when they over-stuff the book (so the glue can't properly penetrate each sheet) or when they handle the book before it has cooled (I know you're excited, but let it cool down before you open the yearbooks). What method of binding are you currently using for your yearbooks? Perhaps you are outsourcing them to a professional print shop, or maybe you are using a more complicated case-binding method? We want to know - email us at info@buy101.com to share your school's story for a chance to be featured. * List price refers to the MSRP as set forth by the manufacturer, as it sits today (Oct. 2018). Click into the machine pages to see our current pricing. Call us for a price match if you find a lower price.